The Junior Ice Dogs would like to Congratulate our 2018 Volunteer of the Year - Dave McCombs ! Congratulations Dave and Thank you for all of your time and effort you bring to supporting all of our Players and our Program ! 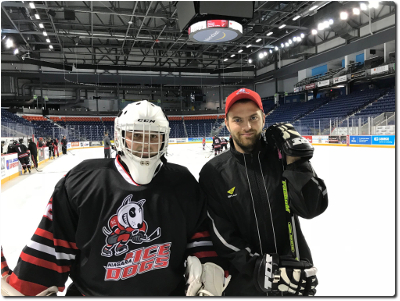 The Niagara Junior Ice Dogs have started their 2018-2019 Season. Check out our schedule from the menu links on our site or at the link below ! Copyright © 2019 Junior Ice Dogs. All Rights Reserved.